Actor-producer Dhanush on Saturday announced the release date of Superstar Rajinikanth’s upcoming film Kalaa. Sharing a new poster of the film, Dhanush, who is bankrolling the most-awaited project, said Kaala will hit the screens on April 27, which was originally earmarked for 2.0. 2.0, which is directed by Sankar, was first slated for Diwali release last year. And it was postponed to the Republic Day week and later to April 27. Last week, the speculations were rife that the filmmakers have plans to postpone the release date again. When Indianexpress.com contacted a source in Lyca Productions, which is funding the Rs 400-crore project, the person claimed there were no such plans to push the release date further. Earlier this week, talking to the media, Rajinikanth said there will be clarity in two or three days. It is safe to assume that it won’t be a Rajinikanth vs Rajinikanth clash at the box office this summer. We can expect a new release date for 2.0. The mega-budget sci-fi film has Rajinikanth and Akshay Kumar in the lead roles. The filmmakers have been citing the ongoing special effects work as the reason for the delay. 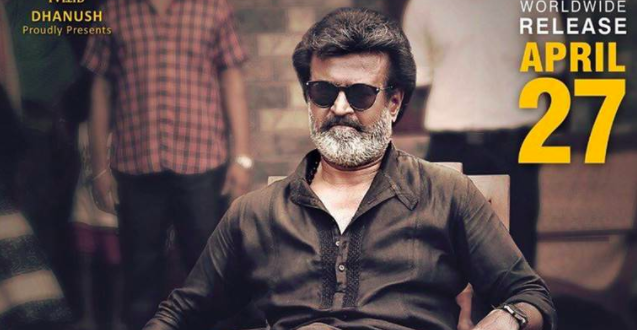 Kaala is the second consecutive outing of director Pa Ranjith and Rajinikanth. The duo delivered blockbuster film Kabali in 2016. Set in the backdrop of Mumbai, it is billed as a gangster drama. Kaala also boasts of an ensemble cast including Nana Patekar, Huma Qureshi, Samuthirakani and Pankaj Tripathi among others. Actor Easwari Rao will be playing Rajinikanth’s heroine in the film. According to reports, Kaala deals with the struggles of Tamils from Thirunelveli in Mumbai. And Rajinikanth plays a don, who fight for the rights of an oppressed class.